Sub: School Education -Implementation of half day schools from 15.03.2017 to 23.04.2017 - function of school as usual on 08.04.2017 (Second Saturday) - Instructions - Issued - Reg. Ref: This Office Proceeding Re. No.843-Plg-1/2017, Dated: 13.03.2017. 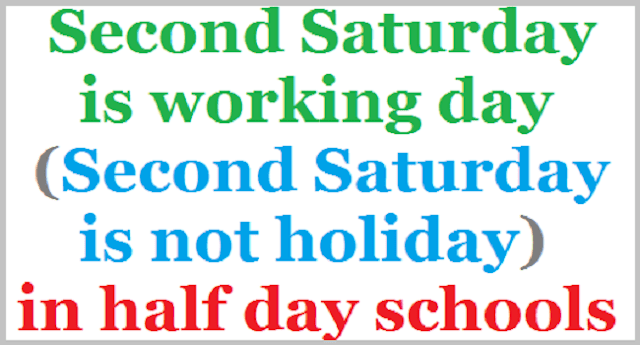 All the District Educational Officers in the State are informed that in the proceedings read above, instructions were issued that the all the Schools in the State shall run Half Day from 15.03.2017 to 23.04.2017.